In the INTER Workshop of Programmable Automaton (90 m2). Why start this Industrial Electricity Course? 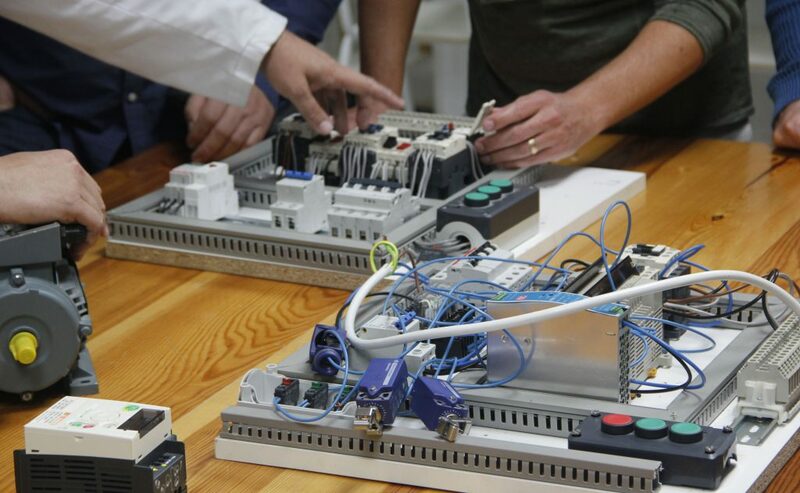 This course, also known as “Programmable Automaton”, is meant to train you as a professional so that you can develop your work in the field of Industrial Electricity. 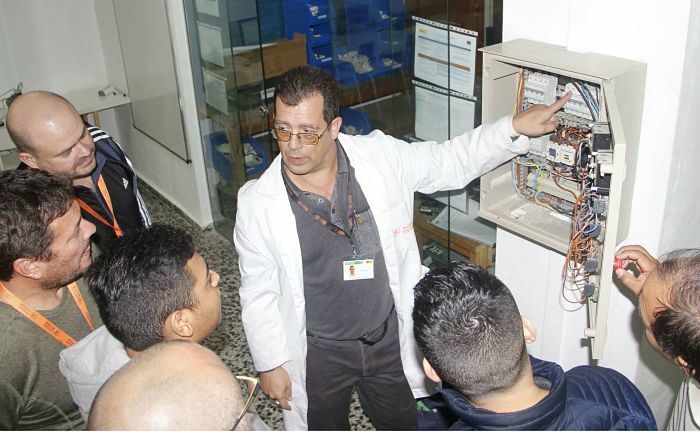 It is directed to people who, having a basic knowledge of electricity, want to be trained in Industrial Electricity field and professionals who wish to expand their knowledge or work in this professional sector. Yes, but … what is Automation? Calculate the sections of conductors to motors, to electrical panels; You will determine the value of the necessary protections. Know the operation and connection form of the elements used in the industry, contactors, timers, NPN and PNP type sensors and with them you will design wired logic circuit diagrams. 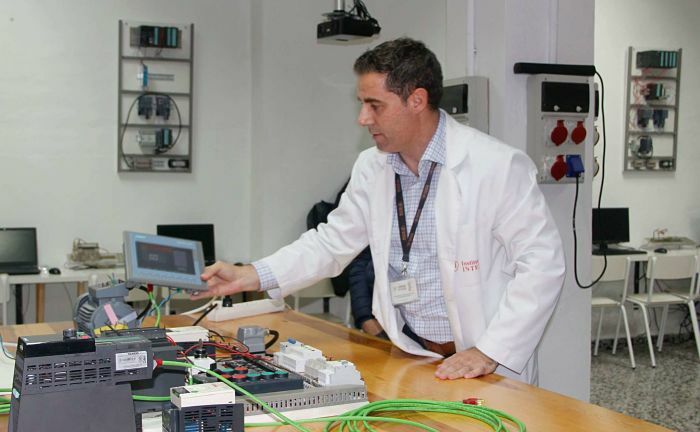 You will learn what the different parametres of a variable speed drive are used for and how to program them. 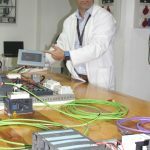 Know the instructions used by the Omron and Siemens automata, and you will learn to program them (public garage, gas station, programming on processes in bottling plants, handling of tapes in production lines …). Carry out small automation projects with wired and / or programmed logic. You will assemble power circuits and control of wired automation with three-phase motors, from basic circuits such as reversal of rotation, star-delta start, to circuits of conditioned operation of motors using contactors, electric and pneumatic timers, speed variators, sensors ( mechanical, inductive, capacitive, etc.). 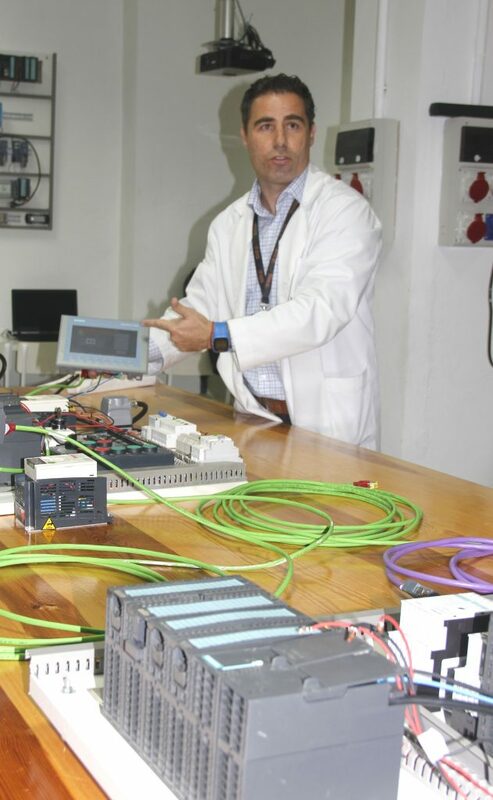 You will connect the elements mentioned in the previous point to the Omron and Siemens programmable controllers, in order to check the operation of the programming made by you based on various production processes. 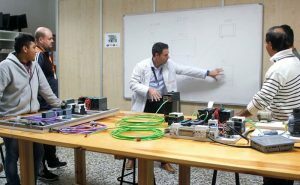 In order to follow the Industrial Electricity course you need some basic knowledge of electricity, which you can have as a professional or have done our Electrician Installer Course. 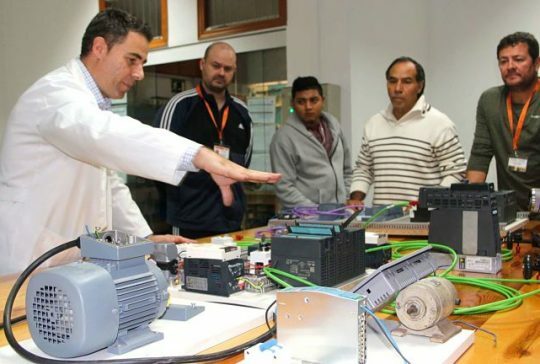 With this course you will obtain a Diploma from Instituto INTER with professional validity which, in addition to improving your curriculum vitae, you will be able to access to positions of panel builder, maintenance in industry, programming of automata, control of processes, etc.